is a dim emission nebula comprised of hydrogen gas about 12,000 light-years from Earth. The open star cluster NGC 1893 lays at the core of the nebula. The 'tadpoles' at 8 o'clock are themselves 10 light years long and new stars may be forming within them. 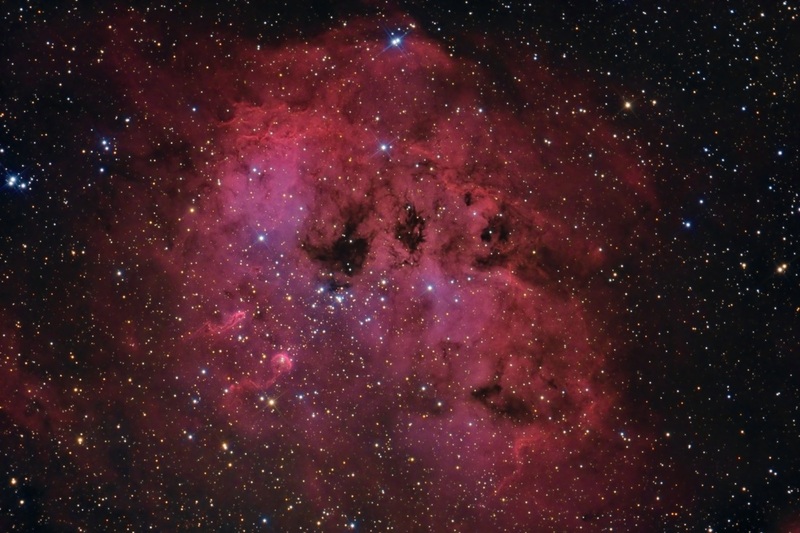 The dark patches within IC 410 occur where dust obscures the glowing gas. This is my first collaboration with my friend Dr. Ron Brecher.